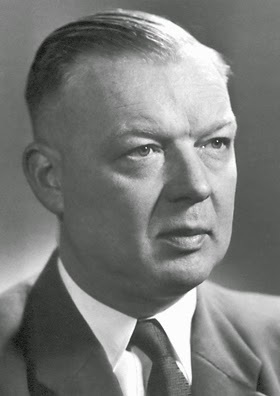 On August 29, 1904, German surgeon and Nobel Laureate Werner Forssmann was born. He is best known for the development of cardiac catheterization, which was developed by him in a dangerous self experiment. Werner Forssmann was born in Berlin as the only child of the lawyer Julius Forßmann and his wife Emmy, née Hindenberg. His father’s family originally came from Finland, his mother’s family was Prussian. His father, commanded to the Eastern front as a soldier in World War I in 1914, fell in 1916 in Swistelniki, Galicia. 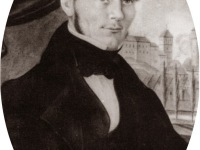 Forssmann then grew up with his mother and his grandmother Helene Hindenberg, who raised him according to Prussian ideals. Forssmann was admitted to the School of Medicine at Friedrich-Wilhelms University where he studied the experiments performed by Claude Bernard, Auguste Chaveau, and and Etienne-Jules Marey. Also, Forssmann devoted his time to measuring and recording the blood pressure from the beating heart of a horse. Back then, he increased his interest in investigating the direct delivery of medications into the heart [1,3]. He passed his state examination in 1928, after which he went to the University Hospital, today’s Moabit. In 1929, Forssmann graduated medical doctor. His dissertation on the effect of liver feeding on the red blood count and cholesterol level in the serum of healthy people was based on the successful treatment of pernicious anaemia by the administration of vitamin B12 in the form of liver extracts. He then joined the Eberswalde Surgical Clinic. In this period, the scientist came to believe that with the help of a thin catheter, drugs could be directly injected into the major vessels of the heart. He assumed that this way, a failing heart could be resuscitated without serious invasive maneuvers like cardiac surgery or intracardiac puncture . However, his supervisors refused permissions for a risky experiment like this and he began practicing the procedure on cadavers secretly as suggested by his friend, Richard Schneider, Head of Surgery . 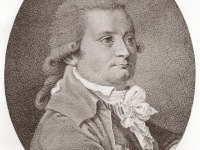 After several successful experiments on the cadavers and himself, Forssmann inserted a lubricated catheter into his left cubital vein and pushed it up approximately 35 cm. This was performed with the help of Schneider who interrupted the procedure, thinking it was becoming too dangerous . However, Forssmann had no motivation to give up at this point. He repeated the procedure a week later by himself. This time, the catheter was inserted 65cm. At first, he punctured the vein and pushed the catheter up until he sensed warmth at the venipuncture site. Then, the scientist walked to the radiology department where he located the catheter tip . He was not able to push the catheter further into the right heart sections, because apparently, it was not long enough. In a scientific paper, Forssmann described his experiments and they turned out quite sensational, but also caused a large wave of criticism due to the high risks of the procedure. Shortly after, Forssmann was fired and he abadoned cardiology, continuing his career in urology [1,2]. The scientists André Cournand and Dickinson W. Richards used Forssmann‘s experiments and applied his technique on animals. Both scientists researched on the topic for 4 years and performed the first human cardiac catheterization in the United States. In a scientific paper, they also explained the usefulness and safety of the procedure. 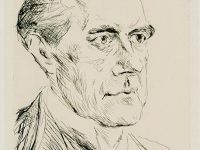 In 1956, Forssmann was awarded, together with André Cournand and Dickinson W. Richards, the Nobel Prize for Physiology or Medicine and he was, in the same year, appointed Honorary Professor of Surgery and Urology at the Johannes Gutenberg University, Mainz [3,4]. After retiring in 1969, Forßmann wrote his autobiography, which appeared in 1972 under the title “Selbstversuch” (self-experiment). Werner Forssmann died in Schopfheim, Germany of heart failure on 1 June 1979 at age 74. At yovisto academic video search, you may be interested in a video of an actual cardiac catheterization via the femoral artery by Dr. Michael Martinelli. Raju, T N. 1999. “The Nobel chronicles. 1956: Werner Forssmann (1904-79); André Frédéric Cournand (1895-1988); and Dickinson Woodruff Richards, Jr (1895-1973).” Lancet 353, no. 9167: 1891.